Niantic released a major update for Pokemon Go, adding 50 new Pokemon for players to capture, as well as weather-based gameplay. In addition, the game’s new weather-based gameplay will see real-world weather affect each player’s experience. 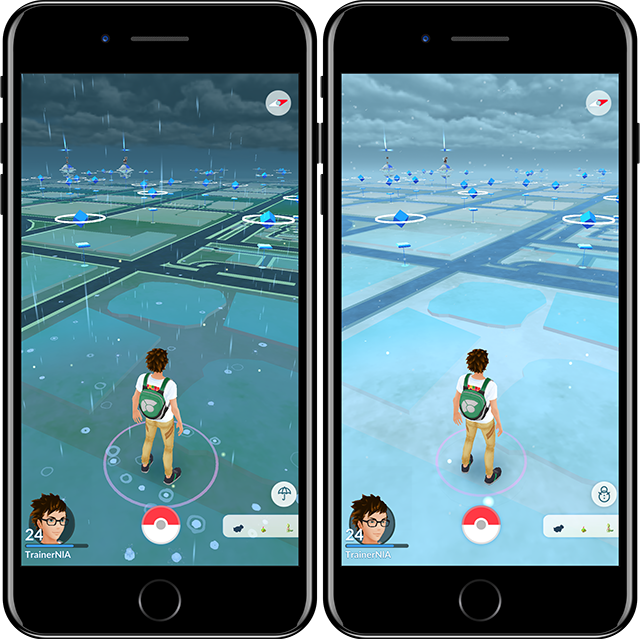 The current weather in a player’s location will be visible on the in-game map, and it may impact which Pokemon are found in that area. For instance, players may find the water-type Pokemon Mudkip when it rains or the ice-type Pokemon Snorunt when it snows. Weather conditions can also increase Pokemon combat power, as well as allow players to earn more Stardust after capturing a Pokemon. Finally, as the seasons change, gamers will encounter different Pokemon as they play. Pokemon Go is available to download for free on iOS and Android. The game has been downloaded more than 750 million times, and it has driven more than 500 million visits to sponsored locations since its launch in July 2016. Earlier this year, Niantic partnered with Wieden + Kennedy London to launch an advertising campaign for Pokemon Go, which saw billboards containing gameplay stats appear in London, Tokyo and New York. Some of these billboards were activated as in-game PokeStops.